I am super excited to release this blog today! It is first of the series and it shows how crazy I am, about coconut! I am NUTS about coconuts. At one point my family thought I will bring home a coconut tree after seeing the way I obsessed about “anything” coconut. All of the blog posts under this series is dedicated to all those who love and obsess about coconut like I do. You will find everything about coconut here (almost!). I will talk about many ways coconut is used, and benefits and uses of all different forms of coconut. I have written about 130 benefits of coconut in this blog series. These are “must know” uses of coconut! There is coconut craze at a global level. From coconut water, coconut oil to coconut amino and coconut vinegar is extremely popularized by health bloggers and the health food retailers. I personally take many of these products and enjoy them in my meals, smoothies and desserts. I crack open coconut with a cleaver and drink the sweet water that comes out of the nut. I scoop the white delicate flesh to make fresh coconut milk or eat it on its own. 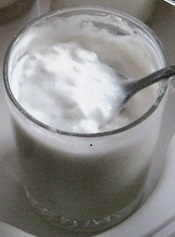 Coconut milk can be used in making curries and lentil soups. I have used coconut oil from cooking and externally for hair and skin. Lauric acid found in coconut oil is also present in mother’s milk and hold many health benefits. When you buy coconut oil make sure you are getting cold-pressed, extra virgin coconut oil. Coconut is sweet, cooling and increases mucus. According to Ayurveda, when the body is suffering from hyperacidity due to high toxin level (Pitta dosha condition), coconut can help to detoxify and purify the digestive system. It is a cooling and heavy fruit that is mostly suitable for Pitta and Vata dosha. Coconut flour is an absolute delight in the kitchen for those who maintain a gluten free, grain free or paleo lifestyle. Let’s look at what we can derive from coconut. Click on the links to find out about the benefits of coconut and it’s derivatives. These are must know benefits of coconut for health, beauty and home. This particular blog post is about the benefits of coconut meat or coconut flesh which you will find after you see the list of all the coconut derivatives. Now lets talk about all the benefits we can derive for a coconut meat! Rich in both macro and micro nutrients such as natural fat, carbohydrate, vitamins and minerals. The saturated fatty acid increases HDL cholesterol which has beneficial effect on coronary arteries. The meat also contains significant amount of potassium and copper. As mentioned potassium is required for proper fluid balance in our cells. It is also beneficial for proper heart function and muscle growth. Copper is useful for red blood cell production and assists us with our sense of taste. Coconut meat carries approximately 7.2 grams of fiber which can assist with digestion and elimination. Coconut meat also contains high amount of manganese that helps metabolize fat and protein, promotes stable blood sugar level and supports our nervous system. 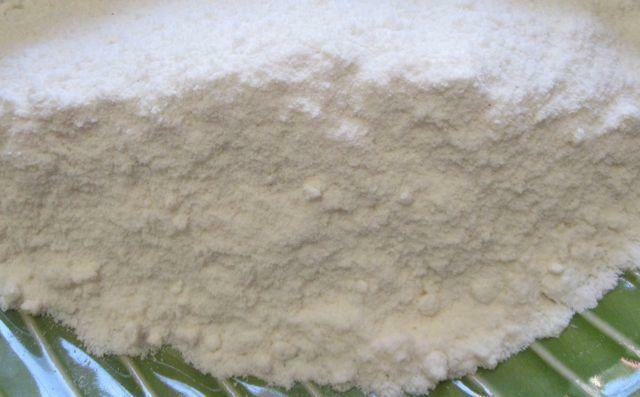 Desiccated coconut contains high amount of fat and protein. It also contains good amount of fiber. Very rich in vitamins and minerals mentioned above. Can be used in smoothies, desserts and curries. 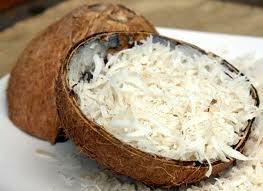 Coconut flakes are anti inflammatory, protects thyroid gland and stimulates energy. Great replacement for grain flours in baking. It is made from dried coconut. High in manganese which promotes stronger immune system and thyroid health. Ideal for paleo and low carb dieters who wants to lose weight and eat healthy dessert. Good alternative for dairy free yogurt. Rich is probiotics that will promote healthy digestion. Synthesize vitamin K in our body. Are you nuts about coconuts like me? What is your favourite coconut derivative? Please share this post with friends and family and tell me if you knew about all these benefits of coconut? I am also a fan of coconut. I follow your advise and purchase only extra virgin, cold pressed, unrefined coconut oil. My questions for you are about coconut water and meat. Do you only buy the fresh coconut and extract the water and meat to get the most benefits from coconut water and meat? If you purchase coconut water, what brand do you recommend or what do I need to look for to be sure I am purchasing good quality coconut water? Any advise you can give me is most appreciated. Dear Diane, I wish I lived in a tropical country and had access to coconut water. Coconut water is very expensive in Canada. Therefore I try my best to source from specialty grocery stores like Whole Foods or Planet Organic Market. I currently stay between “Blue Monkey” and “Vita Coco” but I do not know if they are the best brands around. Another thing some shops keep raw coconut water in their freezer section. Where they got the coconut and preserved the water without any add ons. You can try looking for it.